My first picture in Hyder. I arrived the previous night, but snapped this shot when I registered for Ron Ayer's Hyder Seek event. I completed the IBA 48 plus ride - 9339 odometer miles in 9 days, 19 hours and 36 minutes. I visited all 48 continental states, plus Alaska in that timeframe. 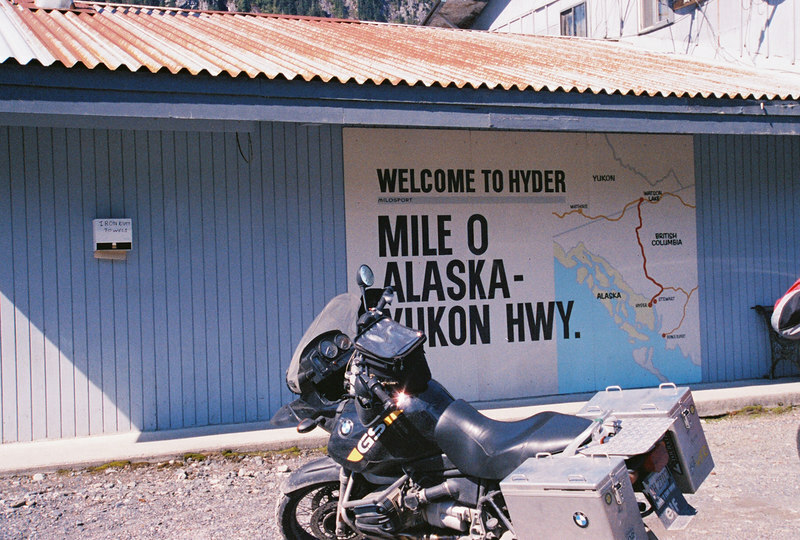 Another 12 riders finshed the ride to coincide with HyderSeek and we were all honored with our photos being placed on the wall of the SeaAlaska Inn in Hyder.